It’s an exciting time when someone is able to go car shopping. There are many things they must consider before starting the process. The type of car, its safety record, insurance requirements and especially the financing. One of the most effective ways for a person to purchase the right car at the desired price is for them to be preapproved for a car loan. Finance experts recommend a person who wants to obtain preapproval for car loan consider offers from a number of different lenders. It’s important they check interest rates and terms before deciding on a specific lender. Prior to approaching a lender, a person should know their credit score. It’s also important they understand having a low credit score will probably result in being offered a loan with higher interest rates. In many cases, a lender may even require the final approval of a vehicle before the loan is granted. A person trying to get a pre-approved car loan must be comfortable with their lender. It could be the bank where they do their banking. A person’s employment may have a credit union that would work well. There are also car loan financing companies. It’s possible in some situations for a person to get approval over the phone or online. This will require providing accurate and verifiable information. In most situations, a person will meet with a lender in-person to provide all of the required documentation. Once a person is preapproved by a lending institution they are in a much stronger position to get a good deal for a car. A person entering a car dealership with a preapproved auto loan is not just a customer; they are now a cash buyer. This means they may not be subjected to the sales tools designed to get a good deal for the car dealership. A person with a preapproved car loan can ask a dealership if they’re able to beat the financing deal they were offered by their lender. It may be possible for a dealership to offer better terms and conditions for a car loan. In some cases, a car dealership may be able to offer a lower interest rate and better monthly payment when compared to what a person was offered by a financial institution. A car dealer is able to access cheap financing using captive lenders. Some of these finance companies are only created to finance auto loans for people buying from specific car dealerships. It may be worthwhile to complete the paperwork and see if the special deals being offered, as well as incentives, could provide better financing. The reputation of auto dealers when it comes to negotiating is not a good one. There are many fair car salespeople with only a few giving a bad reputation for the rest. When someone has their financing preapproved, they’ll b in a better position to negotiate the price of a vehicle. Many times a salesperson will try and sell monthly payments and draw attention away from the total amount being paid for a vehicle. 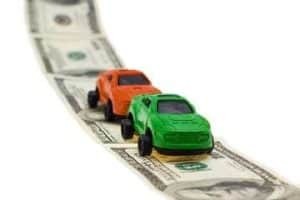 When a person doesn’t have their financing preapproved, a car dealership can try to increase a profit margin by manipulating the different parts of a vehicle loan. Avoiding sales games makes the car buying experience easier. There are many times when a person purchasing a vehicle will experience long delays during the sales process. This often happens when a car dealership sales representative takes time to visit their sales manager. The reason for them being gone is so they can arrange a better deal for the customer. This is often done as a way to get the most interest in a loan being offered by the dealership and more. When someone comes to a dealership with a preapproved loan, there is no need to have this experience. When a person has their auto loan pre-approved: they know the price range for the vehicles they are seeking. In many cases, a lender will provide them with the necessary guidelines when it comes to the price range. This will instantly provide an incentive for a car dealership to only show a person vehicles in their designated price range. The dealership will be focused on providing a vehicle that meets the financing. A major benefit to being a cash buyer at a car dealership is that the customer will have an advantage during the negotiation process. It’s important a person reminds a salesperson at a car dealership they can take their preapproved financing to any car dealership they desire. They are in a position to negotiate the cost of higher priced vehicles down to what they can afford. A car dealership won’t be able to provide add-ons, try to stretch the auto loan with a lower monthly payment for a much longer time and more. Pre-approved car loans are provided by lenders to consumers with terms that are based on their credit or financial history. To understand better the process, and to comprehend the benefits of receiving a pre-approval, feel free to review the frequently asked questions below. What does auto loan pre-approval mean? An auto-loan pre-approval implies that your credit and financial background has already been checked and the lender is willing to offer you loan. Whatever amount is stipulated in the proposal, that is the amount they are willing to provide. How to get preapproved for a car loan? To get pre-approved for car loan, obtain a copy of your credit score, gather all of your personal and financial information, contact potential lenders and compare the best pre-approvals that are offered. How to buy a car with pre-approved loan? Purchasing a car with a pre-approved loan streamlines the process. With a pre-approval you can head to the dealership, find a car that you wish you buy and work on the payment and financing terms on the spot. How can I get pre-approved for a car loan? You can get pre-approved for a car loan by contacting a bank or your chosen lender. However, before doing so, be sure to have a copy of your credit, and all personal documentation prepared for the lender. How long does it take to get preapproved for a car loan? Getting pre-approved for a car loan is not a length process. It usually takes 24 hours or less to receive a pre-approval from a lender. Where to get pre-approved for car loans? You can receive pre-approvals from a variety of lenders. For instance, they can be obtained from banks, credit unions, or other institutions. I’m pre-approved for a car loan now what? Now that you are pre-approved for a car loan, you can head to a car dealership and being shopping worry-free for a vehicle. A loan of this calibre simplifies the car buying procedure. How long does a pre-approved car loan last? Once a pre-approved car loan has been administered, consumers can anticipate for it to last up to 60 days before it expires. What happens when you get pre-approved for a car loan? A pre-approval is offered when an individual is deemed suitable for a potential loan from a lender. When it is offered, this enables the consumer to begin shopping with the understanding that financing and payments terms are already predetermined. How to get pre-approved for a car loan with bad credit? Having poor credit makes it difficult to receive a pre-approval. However, if necessary information is provided, to the lender in a timely manner, the possibility of receiving a pre-approval is achievable. What do I need to bring to get pre-approved for an auto loan? To obtain a pre-approval for a loan, your personal information such as your credit score, social insurance number, income information, and other pertinent information will be required. What if I can’t get pre-approved for a used car loan? If you can’t get pre-approved for a used car loan, this does not imply that you cannot get a car loan at all. Instead, you will have to consider exploring alternative options with banks, credit unions and other organizations to discover whether they are willing to offer you a car loan. How to get preapproved for auto loan after bankruptcy? After claiming bankruptcy, you may find it challenging to receive a pre-approved auto loan. The next step would be for you to re-build your credit history. However, if banks are unwilling to pre-approve you, you can look to other institutions such as credit unions for a car loan. How to get preapproved for an auto loan without impacting my credit score? If you want to obtain a pre-approved loan without impacting your credit score, consider conducting multiple inquiries all within the same time-frame. This will limit the considerable impact that results with a single inquiry. How to shop online for a car with a pre-approved loan? Shopping online with a pre-approved car loan, is the same as shopping in-person. However, once you have found a preferred car, you will have to go to the car dealership to review and confirm financing terms. How hard is it to get pre-approved car loan from my bank? Getting a pre-approved car loan from your bank will not be challenging unless you have poor credit. If this is the case, then there may be some difficulties. How to get preapproved for car loan without hurting credit? Receiving a pre-approval for a car loan will not impact your credit severely. To avoid, having your credit impacted, consider gathering all necessary information, and shopping around for pre-approvals at the same time to avoid a hard hit against your credit. How to negotiate car price with pre-approved loan? With a pre-approved car loan in your hand, your position as a consumer looking to buy a car is strengthened. Due to pre-approved terms and financing options, you are in a position to avoid being pulled into unfavorable financing conditions. What happens when you accept a preapproved car loan? When you accept a pre-approved a car loan, and you have car in mind that you wish to purchase, you must communicate this with the lender. Once this information is given, the lender will dictate financing terms and guide you through the agreement. When should I apply for pre-approved car loan? If you plan on purchasing a new car, you should consider applying for a pre-approved car loan. Doing so will improve your car buying experience. What paperwork do you need to get pre-approved for a car loan? When applying for a pre-approval, you will be asked to provide identification, proof of income, credit and financial history, proof of residence, proof of insurance, and additional documents as required. What is the risk of getting pre-approved for a car loan? There is no risk associated with a pre-approved car loan as they do not affect your credit score. They are considered to be soft inquiries. What happens to your credit if you get pre-approved for a car loan but don't agree on a deal? If you are pre-approved for a car loan, you have 60 days to accept the offer. If you decline, this will not have a negative impact on your credit. Why pre-approved car loan helps buy car? Shopping with a pre-approved car loan helps to better your car buying experience. It presents you as a cash buyer that is able to shop for a car without minimal restrictions. Does getting a pre-approved car loan from a bank help when leasing a car? Pre-approvals are not advantageous to leasing a car. A small down-payment is generally preferred as leasing a car is a process that limits the need for a car loan. What information do I need when I apply for a car loan pre-approved? Applying for a car loan requires a copy of your credit score, personal documentation such as income, will be required. Once accepted, the lender may require additional information. What if you didn’t use pre-approved car loan? If you do not use a pre-approved car loan, you can still search for a vehicle. However, a pre-approved car loan enables you to take that proposed offer to any dealership. It limits confusion and makes buying the vehicle simpler. How to get preapproved for a car loan through credit union? The process for applying for a car loan with a credit union is the same as other institutions. They will require personal information, such as identification, copy of credit score, proof of income or whatever else may be required. How much can I get pre-approved for on a car loan? The amount for which you are pre-approved is dependent on your credit and financial history, income and a few other stipulations. How to get pre-approved for multiple car loans? To increase your chances of being pre-approved for multiple car loans, applying for multiple car loans all within the same time-frame limits the effect on your score and expands your chances of being approved for multiple car loans. How to get preapproved for a car loan first time buyer? Searching for lenders that cater to first-time buyers can improve your chances of being pre-approved for a car loan. However, before applying, be sure to have all necessary information available so that you can expedite the process. Why might I not be preapproved for a car loan? If you have a poor credit or financial history, or you have provided improper documentation, this can impair your chances of being pre-approved for a car loan. 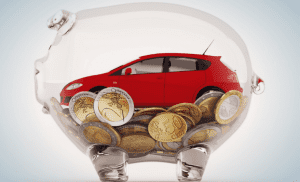 Preapproved for car loan, what if car is more expensive? Pre-approved car loans stipulate the car amount you can afford. If the car price exceeds the pre-approved loan, you must be prepared to put down additional money to cover the exceeded amount. How to get preapproved for a car loan with co-signer? Does getting pre-approval for auto loan affect credit? No, getting pre-approved for an auto loan does not affect a consumer’s credit. A soft inquiry is performed by lenders in advance to determine your eligibility. This does not impact your credit. Despite what some believe, preapprovals do not have a negative effect on your credit. Before you are deemed eligible by a lender, they perform a soft inquiry to determine your financial standing. If deemed suitable, they provide the preapproval. How long are auto loan pre-approvals good for? Auto loan pre-approvals are typically good for up to 60 days. However, if you accept the offer, it takes 24 hours or less to process. Is a pre-approval a guarantee? No, a pre-approval is not a surety. If a pre-approval is offered, lenders are not committed to offering you the suggested amount. Additional documents may be requested. What does pre-approved mean for car loan? A preapproval for a car loan stipulates how much a lender is willing to offer you as well as the terms. Getting pre-approved for a loan simplifies your process as you are shopping for a vehicle. What is a pre-approved loan for car? Lenders provide a pre-approved loan for a car based on information they have acquired regarding your financials. This loan implies how much the lender is capable of offering based on your credit. How long does it take to get approved for a car loan? Getting approved for a car loan generally takes 48 hours. However, some institutions claim to offer loans within the same day the inquiry is made. Individuals with reputable credit scores and a decent financial history are more likely to receive better loans with lower interest rates. However, it is not completely impossible for consumers with less reputable credit or no credit at all. It is also important to note that shopping for a car loan can have minimal impact on your credit. More information on this topic is detailed below. Will shopping around for a car loan hurt my credit? If you shop around for car loan within a small time-frame, this will have little effect on your credit score. All inquiries will be treated as a small inquiry. Can I get a car loan with a credit score of 500? Yes, if you have a credit score that ranges on the lower spectrum, you can still receive a car loan. However, be prepared to encounter higher interest rates with the loan that is offered. If a hard inquiry is made on your credit, your credit score will go down about 5-10 points. However, if a soft inquiry is made, your score is will not be impacted profoundly. Is pre-qualification a hard inquiry? No, a pre-qualification does not involve a full application for a loan so, it does not impact your score as a hard inquiry would. In fact, a pre-qualification is deemed a soft inquiry. Is pre-qualification the same as pre approval? Pre-qualification and pre-approval are two terms that are used interchangeably. However, pre-approvals are solid offers from a lender based on your credit whereas a pre-qualification is a suggested or proposed bid from a lender. Can you get pre-approved for a car loan? Yes, you can get pre-approved for a car loan. However, to receive this offer, you must provide a copy of your credit score, income information and other required documents. How can I get approved for a car loan with no credit? What is a good APR for a car loan? For individuals with scores over 700, they can anticipate receiving a decent APR for a car loan. Overall, a good APR for a car loan ranges around 3%. How long does a hard inquiry stay on your credit? A hard inquiry stays on your credit for 2 years but only impacts your credit for 1 year. Credit scores ranging above 700 are preferred by lenders. They are more likely to receive a better APR on a car loan than credit scores ranging below. Does getting a car loan drop your credit score? A car loan will not cause your credit score to drop. However, it will be affected if only one inquiry is made versus multiple inquiries in a short period. How can I get financed for a car with bad credit? If you have bad credit and are seeking to finance a car, there are a few options. You can prepare for the loan by paying debts off on time to help to improve your credit rating. You can also seek assistance from institutions that help individuals with bad credit acquire a loan. Yes, there are car dealerships and organizations that deal specifically with consumers that have poor credit. Bad credit is often evaluated by the consumer’s credit score. Hence, scores ranging below 620, is considered poor credit. Can you get a car loan with no credit? Obtaining a car loan with no credit can be more challenging than it is for someone that has great credit. 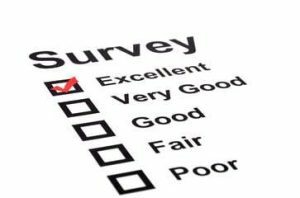 You will be required to provide more information and the process may be lengthier. Lenders often prefer to provide the best loans to individuals with decent credit. For those that fall below this credit ranking, they can receive a car loan, but higher interest rates. Can I get a car loan with no credit and no co-signer? Yes, you can receive a car loan with no credit and no co-signer. However, be sure to anticipate the difficulties that may transpire as you the begin the task of acquiring one. How can I get a car with no credit or co-signer? If you have no credit or co-signer, you can still obtain a car loan. Car dealerships or credit union that offers loans for persons with credit, may be your sole option. How do I finance a car with no credit? 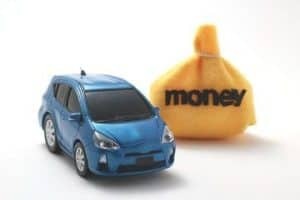 One of the most ideal ways to finance a car with no credit to provide a significant down payment. Or, shop around for financing options until you find one that is suitable.